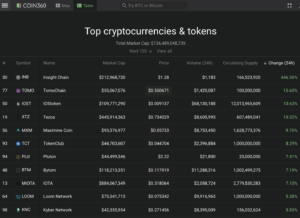 Bitcoin (BTC) dips slightly below the 4000 USD psychological resistance level making most of the cryptocurrency market turn red, with the exception of many coins/projects with EOS trading pairs. 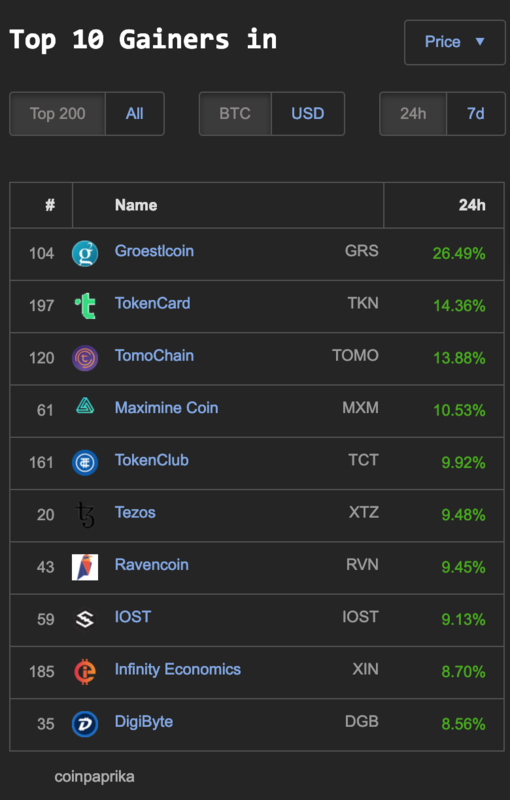 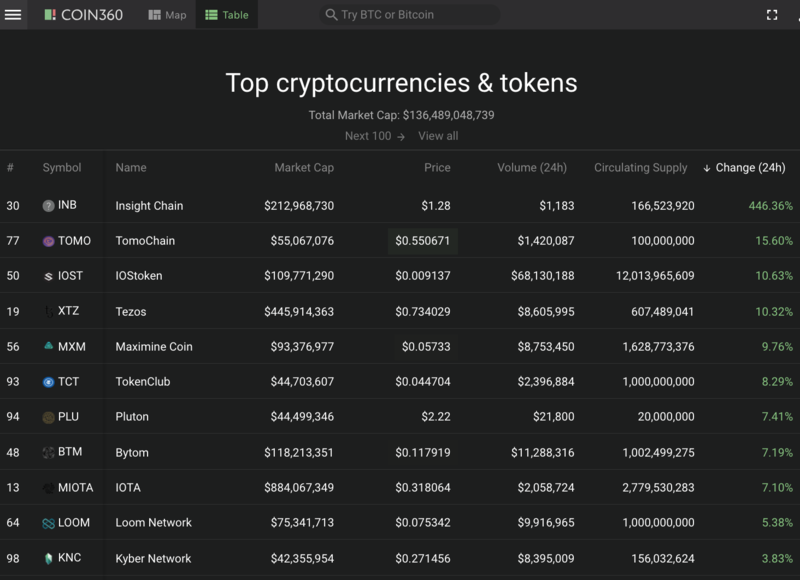 Even on a red day coin360.io has Insight Chain (INB) gaining 446% and three other coins: TomoChain (TOMO) 15%, IOStoken (IOST) 10% and Tezos (XTZ) 10% with double digit gains in the top 100 market cap. 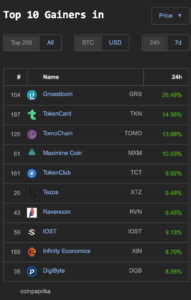 NewDex.io exchange has by far the most big green gainers today with seven coins gaining over 100%: FC (825%), SHAPE (215%), ANC (162%), HOT (125%), BOSRED (111%), BINGO (110%) and CUBE (108%). 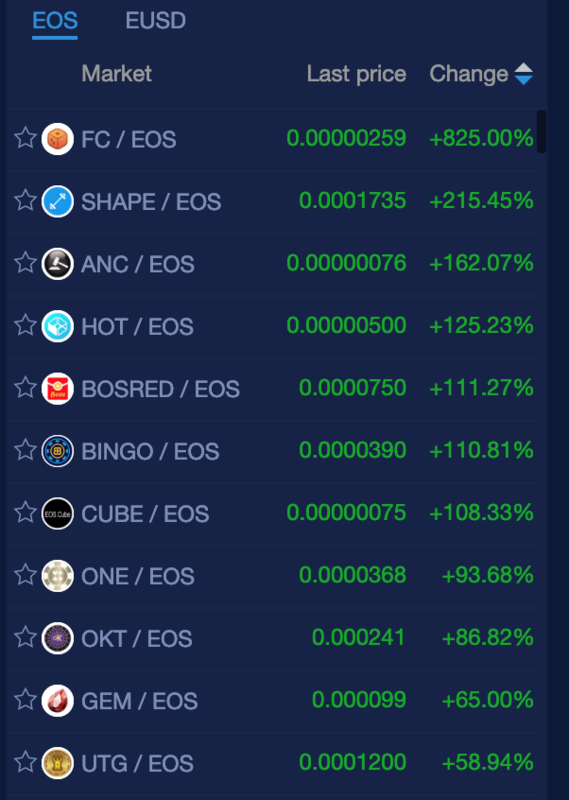 If that wasn’t impressive enough there are also 20 other coins gaining double digit percentages. 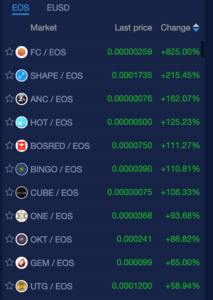 Some of the non-gambling coins being: GEM (65%), UTG (58%), ATD (58%), PLO (44%), ECTT (36%), TRYBE (23%), SEED (22%), ENB (17%), KARMA (10%) and LITE (10%).